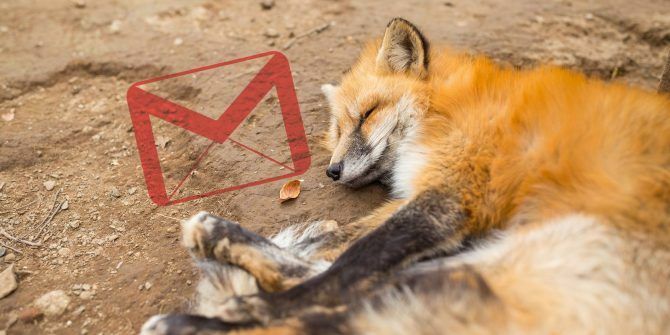 Gmail has given way to Google Inbox, and Google Chrome has been winning the battle against Mozilla Firefox 7 Reasons to Switch From Google Chrome to Mozilla Firefox 7 Reasons to Switch From Google Chrome to Mozilla Firefox Google Chrome is the most popular web browser, but is it right for you? 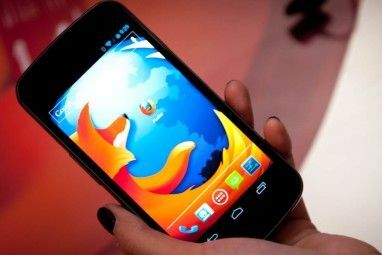 Here's why you might prefer Mozilla Firefox. Read More . But this one’s for the loyalists who hold on to two of the internet’s most memorable brands. If you heart Firefox and Gmail, you’ll love these extensions. 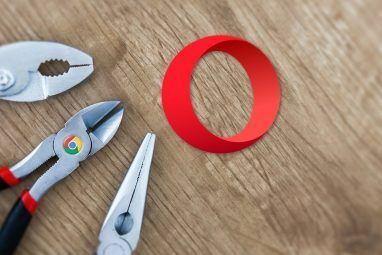 Recently, I explored Chrome’s best Gmail extensions 11 Chrome Extensions That Will Super-Power Your Gmail Experience 11 Chrome Extensions That Will Super-Power Your Gmail Experience Google makes the Chrome browser and Google makes Gmail. Naturally, you have some great Chrome extensions to make your Gmail experience better. Read More , and as luck would have it, five of those are on Firefox too: ActiveInbox, Notifus, Checker Plus for Gmail, MailTrack, and Simple Gmail Notes. Naturally, the best is the best, regardless of which browser you use. Nonetheless, Firefox has plenty of exclusive extensions that Chrome users would kill for. If you’re a Gmail power user, this is the best extension you can install, and well worth the $50 per year. Set due dates for emails and tasks. Competitors like Boomerang, FollowUp.cc, or mxHero Toolbox are great, but ActiveInbox is a better solution to deal with inbox overload and email to-do lists How to Deal With Inbox Overload and To-Do Lists in Emails How to Deal With Inbox Overload and To-Do Lists in Emails Email is not just communication, it also largely dictates your to-do list. Let's talk about the best tips to link the inbox to our productivity with Andy Mitchell -- the founder of ActiveInbox. Read More . Notifus is a free add-on that sends reminders about important emails that you haven’t received a reply on. Instead of the “Send” button, click one of the buttons to “Send and remind me in X days.” It’s that easy, and it works. To use Notifus, you will need to install GreaseMonkey for Firefox first. Checker Plus is an icon in your toolbar that notifies you of new messages. It also lets you perform basic actions like marking it as read or deleting it. And it can open the mobile version of Gmail in a small pop-down pane too. 4. Mailtrack: Did the Recipient Read Your Email? To see if someone has received and read an important email, Mailtrack is the easiest free and unlimited solution. One green tick indicates it has reached the recipient’s inbox, and a second green tick shows it has been read. Simple and easy. Simple Gmail Notes lets you add sticky notes to a message. You can customize the color and font size of the note, and even turn it into a quick Calendar event. All the notes are stored on your Google Drive, so your data isn’t going to a third party. By default, Gmail trims the end of messages. This can be email signatures or contents of the previous mails in the chain. Either way, if you want Gmail to show the full message without trimming the end, this is the extension you need. Trimless has one job, and it does that job perfectly. One of Firefox’s best exclusive features is the customizable sidebar. Extensions like All-In-One Sidebar The Real End Of Clutter: All-In-One Sidebar Brings Everything You Need To Your Sidebar [Firefox] The Real End Of Clutter: All-In-One Sidebar Brings Everything You Need To Your Sidebar [Firefox] I'm not easily impressed with add-ons, but All-in-One Sidebar is an excellent addition to anyone's Firefox browser. 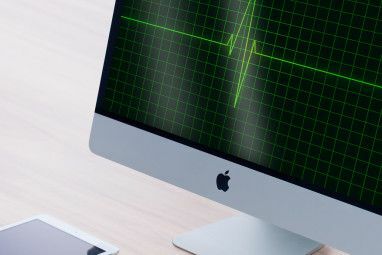 Yes, you shouldn't install too many browser extensions, but AiOS can easily replace several you're already using, and... Read More are irreplaceable and have no comparable alternatives on other browsers. Gmail Mail Sidebar, as the name suggests, puts the mobile version of Gmail in the Firefox sidebar. This way, you can have your inbox always open, and use it much like you use the Gmail app on your iPhone or Android phone. Learning keyboard shortcuts can make Gmail faster 5 Shift Key Shortcuts That Every Gmail User Should Know 5 Shift Key Shortcuts That Every Gmail User Should Know Gmail might have a productivity-boosting interface, but you can boost it even further with these simple but essential keyboard shortcuts. Read More and more productive than ever before. If you already know the best ones, then Shortcuts for Gmail adds 12 more you might need. It introduces shortcuts to select message contents, expand/shrink trimmed parts, navigate between links, undo actions, change text color, and go to the next or previous page. A notification of a new email can be a distraction. You stop what you’re doing to check the message, which can be unimportant. But that small switch ends up causing a major shift in your workflow, breaking your concentration. It’s a good practice to turn off distracting tech notifications How To Turn Off Distracting Tech Notifications Almost Anywhere How To Turn Off Distracting Tech Notifications Almost Anywhere These days, we're constantly barraged with email updates, system alerts, and annoying texts from hypothetical neighbors named Brad about how he got his pet chinchilla stuck in the dryer vent again. But for some reason,... Read More to be more productive. DNDEmail stops Gmail from showing new emails to you for set periods of time. For example, you can tell Gmail to show you emails at every hour, rather than as soon as they come in. It’s a “Do Not Disturb” sign for your inbox. And of course, you can whitelist important people like your boss, so you see their messages instantly. Gmail lets you add custom signatures in settings, but these don’t always look great. Wisestamp is the easy way to create good-looking signatures with tons of information. You can add a photo, links to social profiles, and other data about yourself. Customizing the look of the signature is also a breeze. For more, we have a full guide to spice up Gmail signatures with Wisestamp How To Spice Up Your Email Signatures With WiseStamp How To Spice Up Your Email Signatures With WiseStamp WiseStamp allows you to create multiple personalized email signatures for all standard webmail accounts, including Gmail, Windows Live / Hotmail, Yahoo! Mail and AOL Mail. In addition to standard personal data and social networking profile... Read More . Emails are often meant to be professional. And misspellings or bad grammar will quickly make your important email seem like you don’t care enough to proofread it. Grammarly is the easy fix Grammarly Lite - A Browser Extension For All Your Proofreading Needs [Chrome, Firefox, Safari] Grammarly Lite - A Browser Extension For All Your Proofreading Needs [Chrome, Firefox, Safari] How do you currently proofread what you type on your computer? Type it in Google? Paste it into Word? Or do you use a proofreading website that you paste your text into? I am definitely... Read More for this. Grammarly will suggest corrections for spellings, grammar, common phrases, and other mistakes. Like with Microsoft Word, look for words with a red underline. Click the words to find Grammarly’s suggestions. Plus, Grammarly isn’t restricted to Gmail alone. It will also check your spellings anywhere else you type, be it Facebook or a forum. Firefox’s Add-Ons The Best Firefox Addons The Best Firefox Addons Firefox is famous for its extensions. But which addons are the most useful? Here are the ones we think are best, what they do, and where you can find them. Read More store has plenty of other extensions, but I think these are the best you can get for Gmail right now. What do you think? Which Firefox add-ons make you more productive with Gmail? Explore more about: Browser Extensions, Gmail, Mozilla Firefox, Task Management. 10 Awesome Business Pitch Deck Templates to Wow Your AudienceHow Much Bandwidth Is Used by a Skype Call? Great article - lots of info. But I'm stuck on getting Firefox to use Gmail *IN* Firefox for mailto links. This is on Win10. Currently using Firefox 59.0.2. My choices under OPTIONS for the application MAILTO are Always ask, Use Google Chrome (Default), Use Yahoo Mail, use Gmail, and Use Other. Use Gmail works the same as Use Chrome - it launches Chrome if its not up, and opens a tab to compose an email. But I am trying to run just one browser - and I would rather it be Firefox. I gather from other websites that I need an addon to create the missing piece - but all the add-ons I found are either old and not valid for current Firefox versions, or they are for Gmail notifictions - not mailto. Am I misunderstanding something obvious here? X-notifier for gmail and more!
" If you heart Firefox and Gmail, you’ll love these extensions." My heart is with Firefox, not with GMail/Google. I use GMail out of necessity, not out of choice. AFAIAC, these extensions are unnecessary frills that distract or annoy more than they help. Uh, you do realise MailTrack is Chrome-only, right? Did you even visit the link you've provided? MailTrack is compatible with Chrome, Firefox, Opera, and Edge. I updated the link to point directly to the Firefox extension.